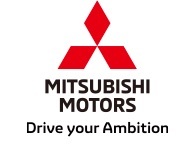 TOKYO, Dec 20, 2018 - (JCN Newswire) - Mitsubishi Motors Corporation (MMC) and Kyushu Mitsubishi Motors Sales Co., Ltd. are aiming to create a showroom that uses renewable energy to be self-sufficient - and can even provide a stable supply of power to electric vehicles in times of natural disaster. The Futamatase DENDO Drive Station showroom in Fukuoka Prefecture, Kyushu, uses new large capacity solar panels and a storage battery unit to store the power generated. It started operating on December 20, 2018. The system specification provides for the future reuse of EV and PHEV batteries, which can be incorporated into the storage unit. The solar panels installed at the Futamatase showroom have a 30kW generating capacity, equivalent to the showroom's average power consumption, while the battery unit can store 100kWh of electricity, equivalent to 10 days power usage in an average household. In addition to being able to supply EV and PHEVs with electricity for charging purposes, the use of a V2H(1) adapter allows the system to supply enough electricity to meet the showroom's needs using a combination of power extracted from EV and PHEV batteries and electricity generated by the solar panels. The project will collect a variety of data over the next year to demonstrate the viability of the solar panel and storage battery capacities and help shape future DENDO Drive Stations. 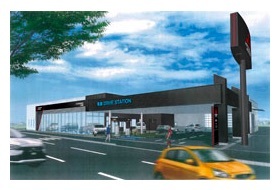 In addition to standard showroom facilities, the DENDO Drive Station next-generation showroom features a presentation and demonstration area where visitors can learn and experience how EVs will play a key role in diverse energy grids of the future, and their value in times of natural disaster. Since MMC opened its first DENDO Drive Station in October 2016, it has converted 56 showrooms nationwide as of December 20, and expects to increase this to 200 by financial year 2020. By creating DENDO Drive Stations, MMC and Kyushu Mitsubishi Motors Sales are hoping to contribute to a more efficient and disaster-resilient energy grid by increasing the number of EVs and PHEVs on the road. (1) Vehicle to Home: Supplying homes with electric power stored in EV batteries.